Promoter Bob Arum and the entire team behind WBO heavyweight champ Joseph Parker are extremely angry at the way both a British referee and a British judge have been appointed ahead of the upcoming September 23rd title defence Parker will make against Hughie Fury. 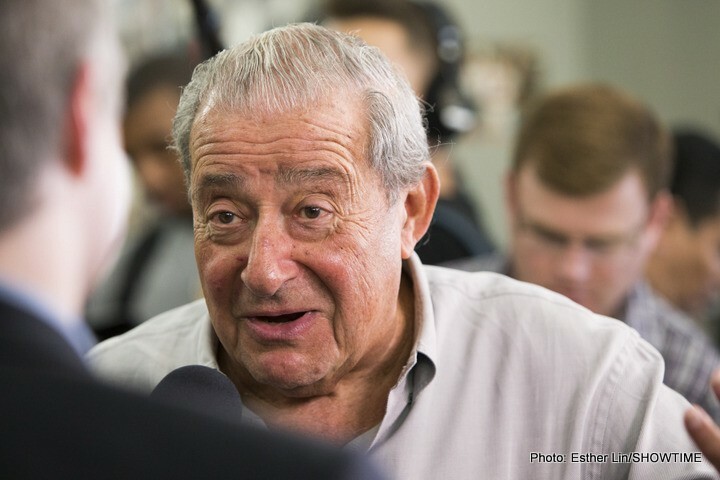 According to Arum, who promotes New Zealand’s Parker, The British Boxing Board of Control has “completely disregarded WBO protocol and their contract with Parker to appoint neutral officials.” Referee Terry O’Connor has been given the job of third man in the ring, while an English judge who will score the bout along with two other officials has also been assigned. It now remains to be seen if any further action will be undertaken by Team-Parker, or if the fight itself could even be in jeopardy. As fans may recall, Parker-Fury was originally supposed to have taken place in New Zealand in May, only for an injured Fury (his lower back) to pull out. Now having agreed to come over to Manchester, UK for the defence, Parker is understandably angry over how a British referee and a British judge haver been assigned. Rules are rules and it does seem odd that The BBB of C has acted in this manner. Referee O’Connell has worked Fury’s last two fights and it is understandable how Parker and his team might feel a touch of favouritism could be shown to Fury during the fight. It remains to be seen if the two appointed British officials will be changed.